Cu Lao Cham island is one of the most popular attractions for travellers to Da Nang and Hoi An. It is located about 18km far from Hoi An. 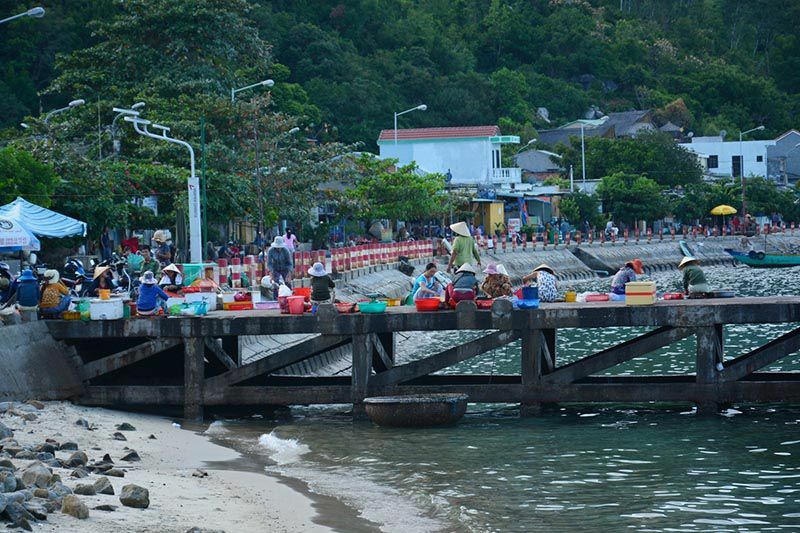 Cu Lao Cham attracts tourist not just by pristine and untouched beauty but also thanks to its smooth sloping sandy beach, delicious seafood, turquoise water with endless hills and mountains. Discovering Cham island is the perfect choice for tourists coming to Hoi An and Da Nang. 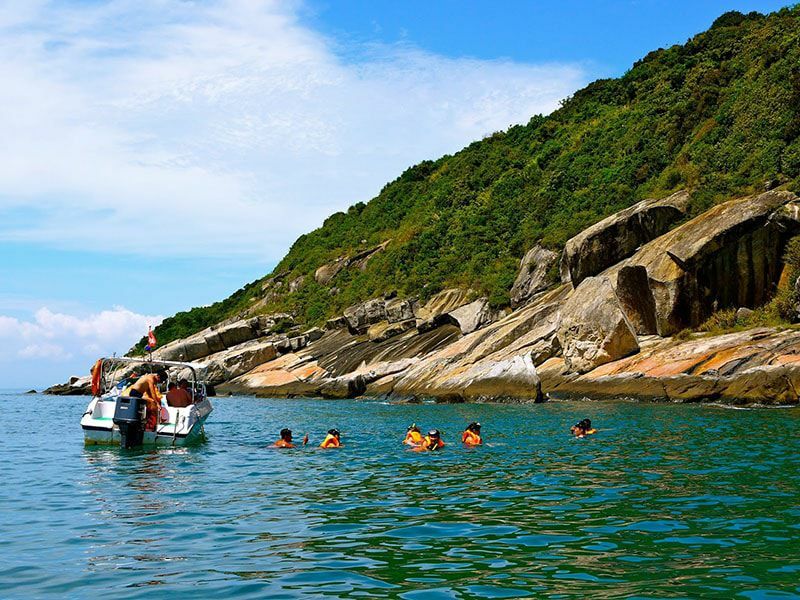 Cu Lao Cham is a group of 8 islands which has been recognized by UNESCO as the “World Biosphere Reserve”. From Da Nang, you can combine a day trip to visit Hoi An ancient town and Cham island to explore the unique pristine beauty of nature here which makes Cham Island become an ideal destination for travelers who love pristine nature. 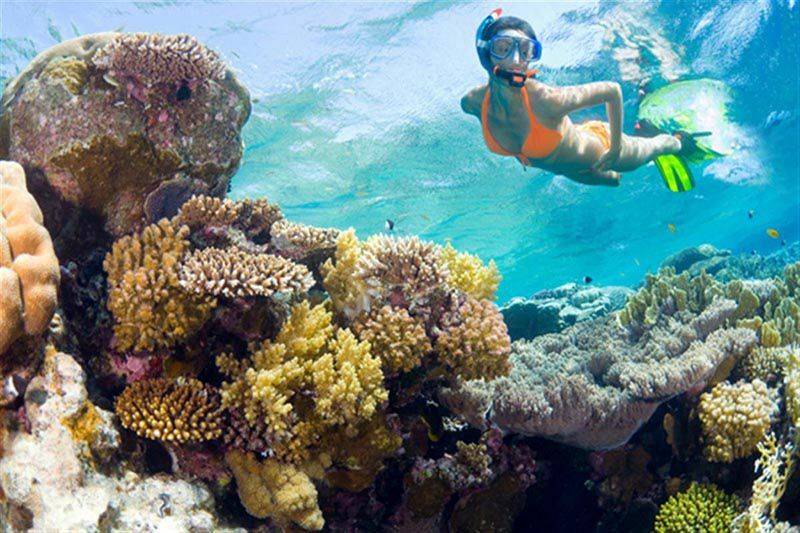 Visiting Cu Lao Cham, you will have opportunities to enjoy the ecological site, marvelous coral when going scuba diving or snorkeling as well as spending time on stunning beach. If you are going to travel to Da Nang or Hoi An, you should not miss a day trip visiting Cham island or you can also choose a homestay in Cham island for a night at this virgin island which surely be the best experience of your trip. The best time to travel to Cham island is from March to August. During this timing, the weather is good the sea is mild and sunshine all day with the average temperature 28 degree Celsius, it’s pleasant in the morning then becoming cool and windy at night, which makes it much more bearable. From December till March is time of unfavorable weather, you might not be suggested to go to Cham island. Things attracting tourists come to Cham Island is its mixed variety kinds of leisure activities in a picturesque and pristine setting such as: swimming on crystal-clear beaches, sunbathing on smooth sloping sandy beaches, exploring the forest. 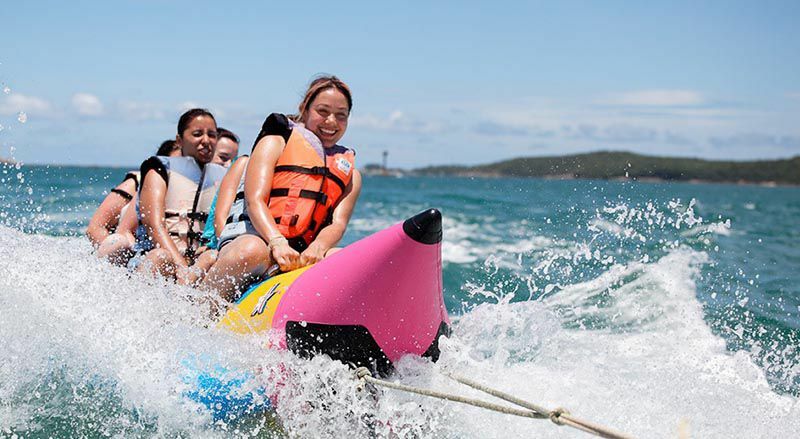 For tourists who are interested in marine life activities, there are available water sports like: swimming, water skiing, paragliding, kayaking, kite flying, boat racing and scuba diving. 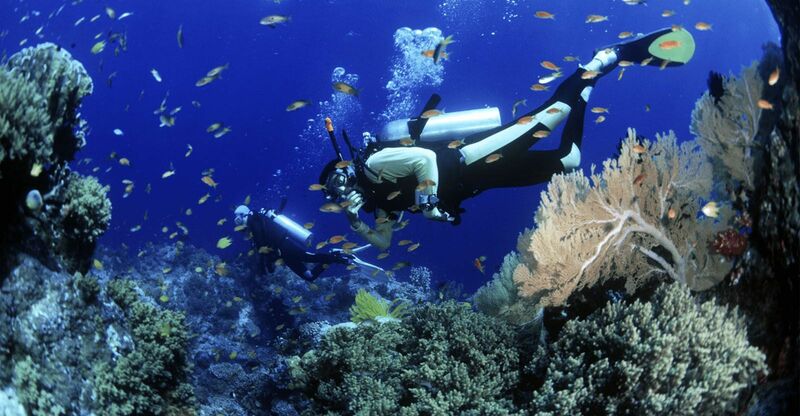 Cu Lao Cham island is like a paradise of collection of marine algae, sea grass, sea creatures and especially coral reefs. 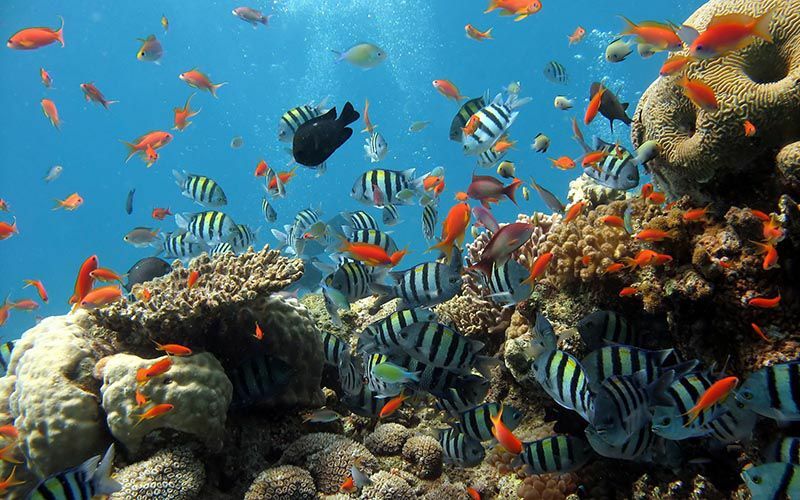 Tourists can have chance to explore a beautiful marine world with a numerous of colorful fishes, lobsters under the blue water surface. Beside the recreational activities, Cu Lao Cham also famous for its unique traditional culture such as Lang Ong, Hai Tang pagoda or an exhibition of nature and local people’s culture. There are many attractions in this island such as Cu Lao Cham Museum which is the famous place for its traditional customs and marine specialties. Visiting Cu Lao Cham Museum, you have chance to learn and understand more about the culture of Cham island. In addition, one of the attractive destinations tourists should visit is Hai Trang Pagoda built in 1758 in the West of Hon Lao island. Walking inside the pagoda, you will see a red lacquer trimmed with gold parallel words as well as a big bell. Those who visit Cu Lao Cham island shouldn’t forget to visit Tan Hiep Market which sells seafood and souvenirs. You might be impressed by a vivid picture with a lot of colorful clothes. Moreover, you will have a great chance to experience culture and lifestyle of local people because all activities, relations, and cultures are showed clearly. After trading, local people will have talks with each other, make friends, gather together and chit chat about their family, their husband, children or their business. Depart from Cua Dai wharf in Hoi An (35km from Da Nang), you can go to Cham island by canoes or boat. If traveling by canoe, it will only take you about 20 minutes to get there but much more expensive than wooden boat, the price is 220,000 VND/person. Otherwise, you can choose wooden boat to save your budget, which takes 2 hours to get to Cham island with the cheaper price ( 30,000 – 50,000/person). Traveling by boat takes longer time to get there but you will have opportunities to enjoy fresh air and the feeling of floating on waves. Coming to Hoi An, Da Nang and make a trip to this beautiful Cham island, you will understand why Cu Lao Cham island is mentioned as a perfect ideal place to visit. There is no doubt that many tourists fall in love with the unique beauty of Cu Lao Cham island once stepping on here. 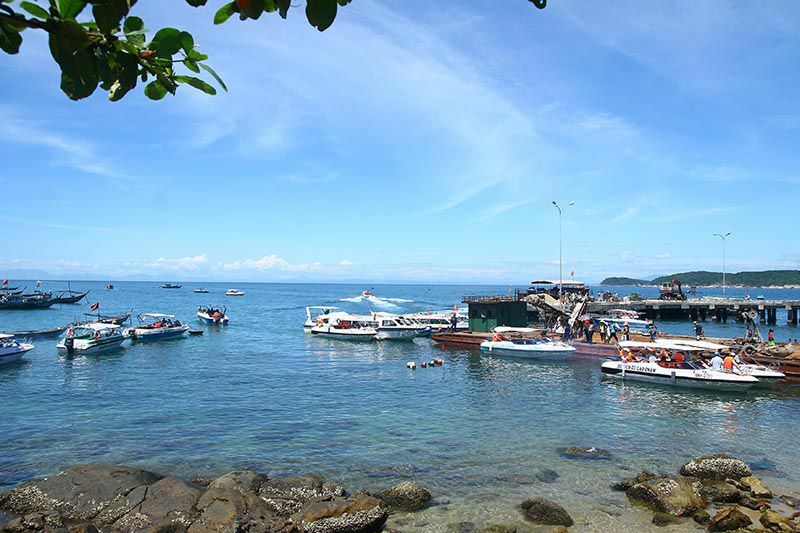 Why don’t you make your own journey to Cu Lao Cham island to explore the beauty of the island.